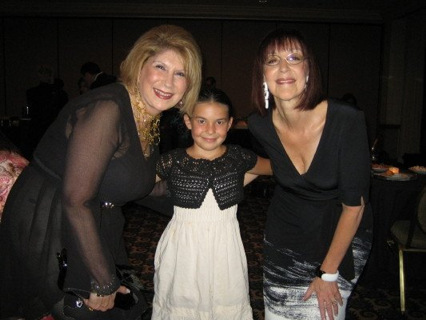 Pictured left to right: Andrea March (Co-founder Women’s Leadership Exchange) my daughter and Leslie Grossman (Co-founder Women’s Leadership Exchange) at the Women’s Leadership Exchange in July of 2008 (Long Beach). My daughter is seven in this picture. I requested that Toastmasters District One create a position for me in 2011: Social Media Chair. I held the position 2011-2012 & 2012-2013. I’m taking a break June 30th & giving someone else a chance to grow their career for the next term and the ability to list work experience on their resume and LinkedIn profile. It can be hard getting work experience to list on resumes and LinkedIn – ask anyone in college or anyone that has already graduated and hasn’t landed their first real job. 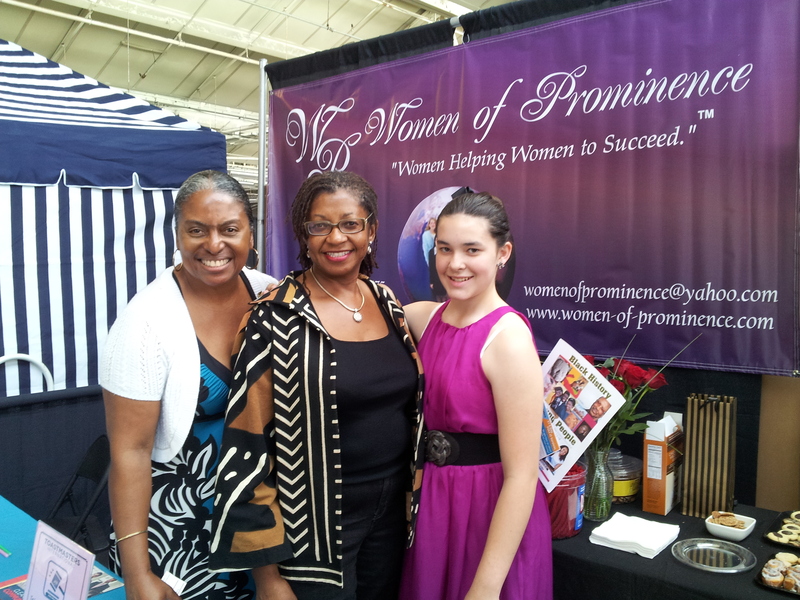 Pictured left to right: Monica Alexander, Women of Prominence, Executive Director; Gloria Davis (Girls Club of Los Angeles, Executive Director and my daughter at the Black Business Expo on May 24, 2013. My daughter worked 11 hours at the booth between Friday and Saturday extolling the virtues of Toastmasters to people curious about the communication and leadership tracks offered. Moving forward, any volunteer support I provide will come in the form of supporting my daughter serving in leadership roles for one year terms. In California, a student needs a 4.0-4.5 to get into their school of choice. I’ve been training my daughter since she was seven on a variety of skills including sales, communication, fund raising, marketing, taxes, persuasion, intent, networking, philanthropy, entrepreneurship, calculated risk, health, technology and more. I’ve told my daughter one hundred times that she can enter any field and it’s very smart to volunteer when entering a new field. This strategy applies to people older than twelve too. My evening at the UCLA Anderson School of Management John Wooden Global Leadership 2009 Award Dinner on May 21st was amazing! I heard John Wooden, coaching legend for UCLA Bruins talk about leadership in a way that was foreign to me. Nothing sophisticated or complex. His biggest influence was his father. We received a copy of Mr. Wooden’s latest book & I like to read a few pages when I wake up. I also have my 8 year old daughter read a page to me here & there. It’s a fantastic read. I loved the bonus of watching Ken Chenault, American Express Chairman & CEO receive the 2009 John Wooden Global Leadership Award. Another great leader, this man’s company sponsors many of the business organizations I belong to. 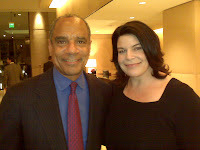 I would have loved to say more to Ken Chenault as his wife took this photo of us. It was late & I wanted to be courteous, but I wish I had taken a moment to tell him a little bit about my background & how much all of the programs American Express sponsors have helped me to flourish. I didn’t graduate from high school (that fact is trivial compared to other hurdles I have faced in my lifetime), yet I have been given many opportunities to improve my lot in life. 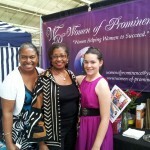 On that note, I will say: Thank you for the opportunities to develop myself as a leader & an entrepreneur, Mr. Chenault.